Bobby Eats It is just like it sounds. Me, Bobby, sharing the food I eat with the world. 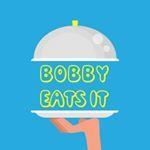 I built and ran @cookingvideos for years, but let that account go and started Bobby Eats It, an all original content account focused on engaging with my audience on a deeper level.